Parents are constantly bombarded with safety warnings on toys, information on child-proofing your home and recalls about kid-related products. In fact, it can often be overwhelming. Scouring the internet for safety tips, watching the news about updates in toy safety, researching product reviews and recalls is time-consuming. The rise in social media and the Web has, in a way, put too much information at our nervous fingertips. I used to get anxious if I didn’t send in the product information card immediately, worried there would be a recall before the bloody thing was delivered to the manufacturer. Unfortunately, we also hear about stories of misfortune and tragedy when it comes to kids interacting with common objects found in the home. This article is about such an incident. As much as it pains me to share such a terrible loss, it is also imperative that stories like this are shared so that other parents can learn from them and be more vigilant with their children and their habits around the home. In my post-Christmas coma, I forgot to remove a few of my girls’ gifts from their original packaging. One said gift was a water toy; a sea horse for my preschooler. When placed in water, it made swim-like motions in the tub. Like a robo-seahorse, but pimped out in purple skin and pink wings. Pretty cool, right? I removed the toy from its packaging and discovered that not only did it come equipped with button batteries already installed, it also came with an additional set of batteries as well. 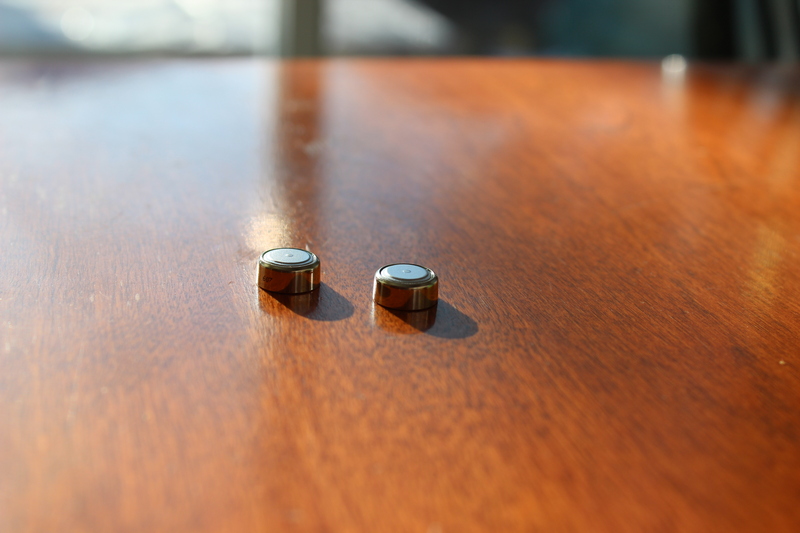 Now I haven’t seen a button/coin lithium battery in a long time and I was shocked at how small they were. Although they came in a plastic, protective sleeve, they were still tiny and small enough to be mistaken for Smarties or other small candies. The product clearly stated it was for ages three and up, but I could totally picture my curious toddler reaching for these tiny gems. I promptly wrapped the extra set of batteries up and put them well out of reach of my kids. Long story short, the sea horse hasn’t seen much tub action. After some quick research, I discovered that many families around the world had been affected by button batteries, including deaths in England, the USA and beyond. Emmett’s Fight is the story of a courageous family trying to cope with the effects of swallowing button batteries and their goal is educate parents on the dangers of ingesting batteries and support those who have suffered the same fate. The cold hard fact is that young children, no matter what age, are genetically programmed to explore their environment. So when they find something new, what do they do? They scope it out, grasp it and more often than not, taste it. Straight in the mouth. They literally have an appetite for anything new. Both of my daughters have had their fair share of sampling various cuisines that are normally off the menu; glue at a drop-in, paint at a play date, crayons at a friends house, etc. They have also attempted to mouth and taste our mobile phones, TV remotes and various other electronic devices around the house. Although consistently dissuaded to do so, they always managed to discover some new, off-limits device to munch on. Looking back, I wonder if I was vigilant enough? The scary thing is, electronic devices are getting smaller, slimmer and sleeker. Now there are mini remote controls, small calculators, watches, key fobs, flameless candles, digital thermometers and musical greeting cards, all containing button batteries. Even light-up shoes and talking books contain them. 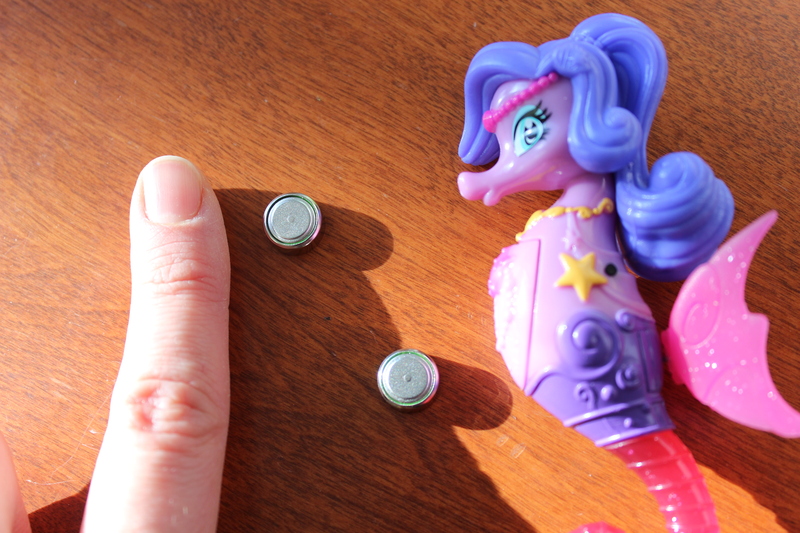 Whatever the product, kids love to pick new things up, play with them and take them apart, often exposing dangerous button batteries inside. We are surrounded by these toxic, pill-sized energy providers. According to Safe Kids, each year in the USA alone, more than 2,800 kids are treated in emergency rooms after swallowing button batteries. Digest this fact for a moment: that’s one child every three hours. Every three hours, somewhere in the USA, a child is gaining access to a button battery and consuming it. Sounds crazy, right? The statistics in Canada are markedly lower (as a result of the huge population difference no doubt), but still alarming. According to the The Government of Canada, since 2006, an average of 65 emergency room visits per year has been associated with button batteries. 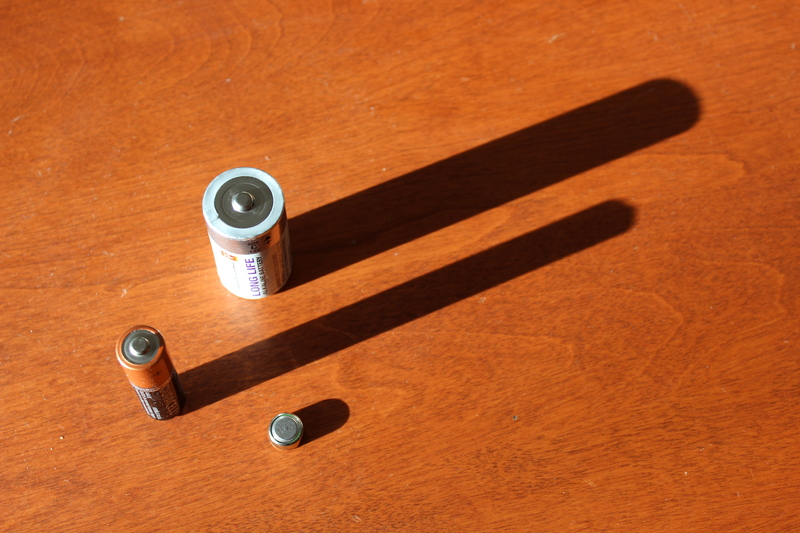 The main takeaway here is that button batteries are bad news for our kids. Full stop. If anything, I hope this article gets parents thinking about the potential dangers around their home and to take some time to re-evaluate the devices that children have access to. 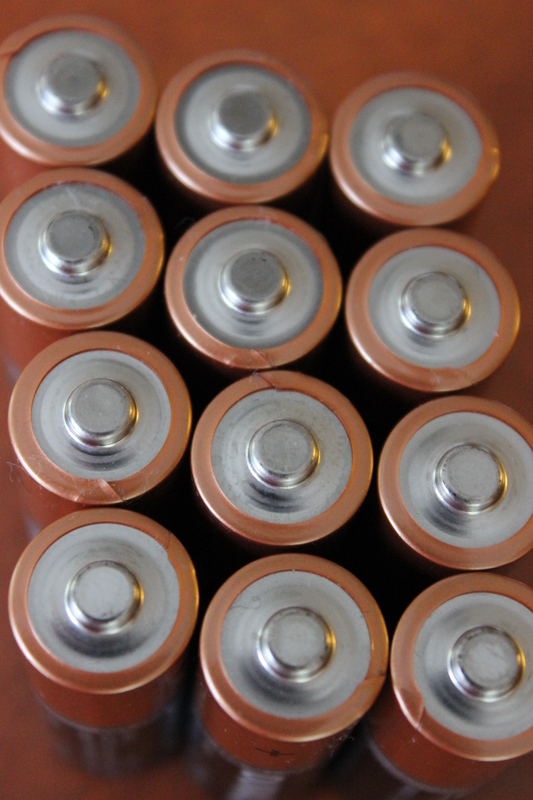 Do you think button batteries should be banned altogether? Vote below!